Air Transat is the only airline with direct flights from Toronto to Glasgow. Another option is to fly Icelandair and do a stopover in Reykjavik en route (see our article here: http://www.hipurbangirl.com/2012/06/hip-urban-girls-guide-to-iceland.html). 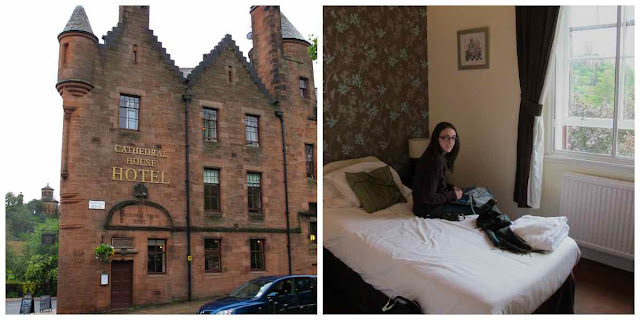 I stayed at the Cathedral House Hotel – a notoriously haunted heritage building that has been converted into a restaurant and B&B. Ghosts aside, the hotel promises excellent food, comfy beds, convenience, and warm hospitality at only $75-112/night. I loved it! I stayed at the university to give my bank account some relief. The University of Edinburgh offers clean, convenient, and cheap rooms in a decent neighbourhood. It also has different room options – dorms, B&B-style, apartments, and a restored 18th-century mansion. Sleep with the ghosts and then with the sheep! Achintee Farm has basic, clean rooms located in a mountain setting. The host, Scott, was a real hoot and made me feel right at home. 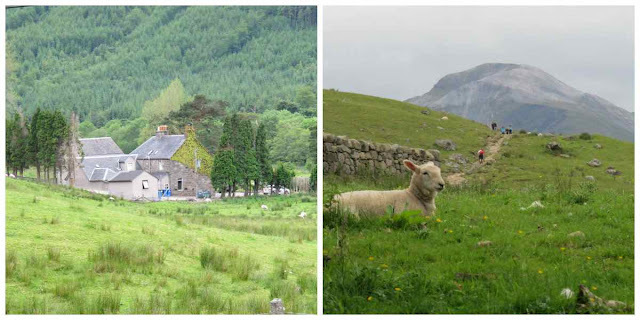 For hikers, the farm is located at the start of the footpath to Ben Nevis. Stop by the old stone pub for hearty food, ale, and live music. 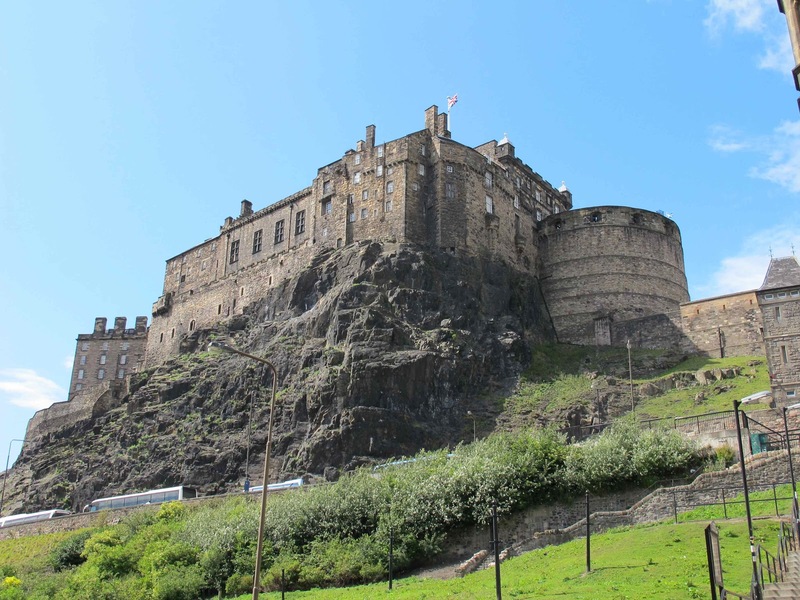 This fortress dominates the city from Castle Rock and has a bloody history. Beware of lingering spirits – witches were burned at the stake near the entrance! Tip: buy tickets online to skip the queue. The isle looks tropical with its white sand beaches and turquoise waters. Explore the Callanish Standing Stones – an eerie cluster of rocks older than Stonehenge. 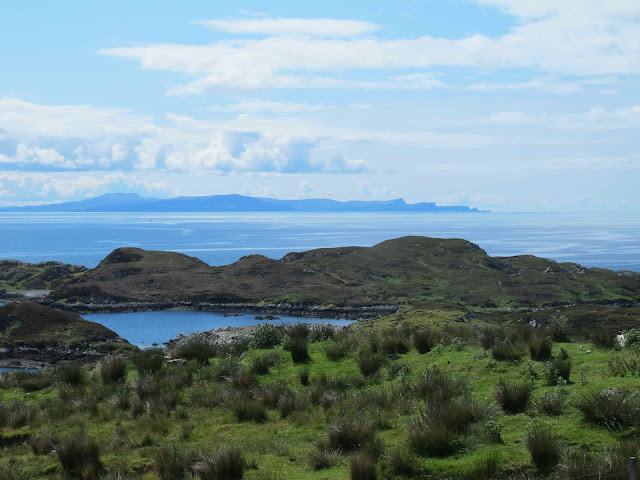 It’s a tricky to get around the island, so we arranged a private tour with Out and About Tours. This museum of social history tells the story of ordinary people and the city from 1750 to the present day. A must see! I fell in love with this dreamy castle. Situated on the banks of Loch Ness, Urquhart Castle was blown up in 1692 but remains enchanting despite its ruinous state. 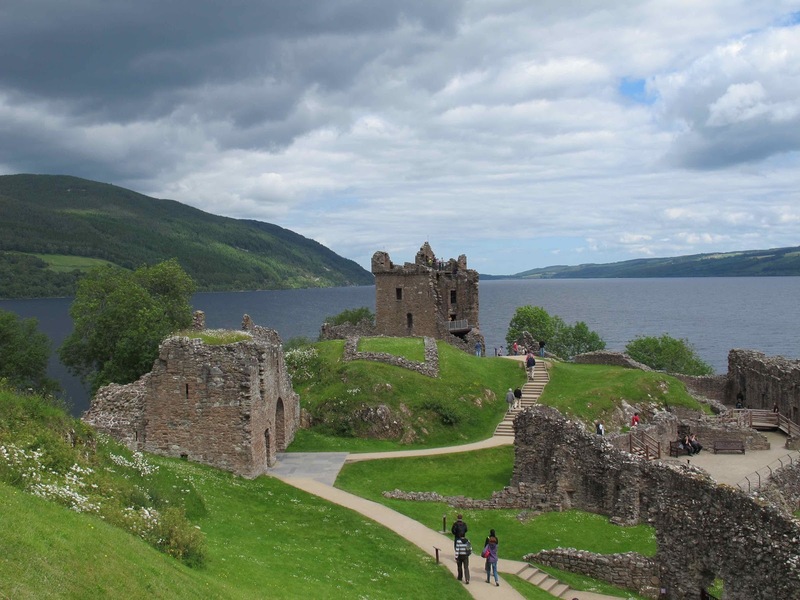 Watch out for the Loch Ness Monster! Feast on some of the BEST fresh seafood in the world – oysters, scallops, crab, lobster, salmon, or whatever you fancy. Make sure to order a helping of fish and chips at the local pub – it’s a must! Crikey, the Scots know how to start the day! Every morning, I feasted on bacon, eggs, sausage, hash browns, toast, scones, and beans. If you’re brave, try the blood pudding. Close to Edinburgh Castle, the Witchery serves legendary gourmet Scottish cuisine. Reserve in advance or face disappointment. Oh, it’s also rumoured to be mega haunted – just sayin’. This coffeehouse is famous for its appetizing dishes and because J.K. Rowling wrote Harry Potter in the back room. 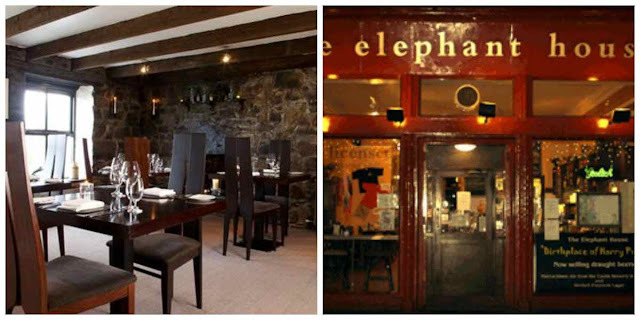 Proclaimed one of the world's TOP 50 restaurants, Three Chimneys specializes in fresh seafood and Highland game. Reservations essential! Get outside and see the best Scotland has to offer. 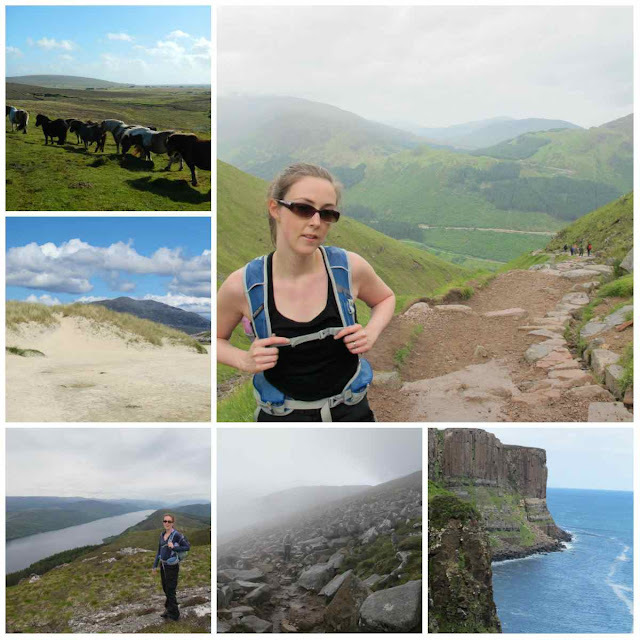 Climb Ben Nevis – the highest mountain in the British Isles – or take a day hike along the Loch Ness with WOW Scotland. Both hikes were tough, but the scenery was stunning. This was undoubtedly my favourite part of the trip! 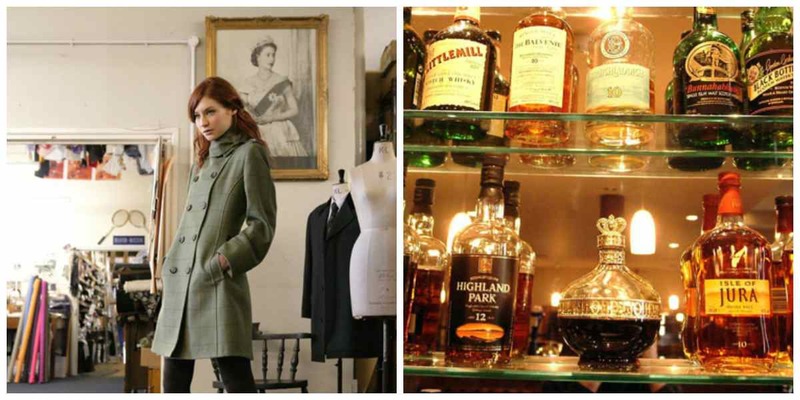 Take a tour of a local distillery to try samples and learn about the art of whisky creation. 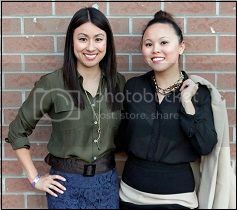 Fashion rules in the form of Scottish tartans, cashmere, and tweed. But if you’re on a budget, pick up a few boxes of shortbread instead. This tour is “pee in your pants” scary. 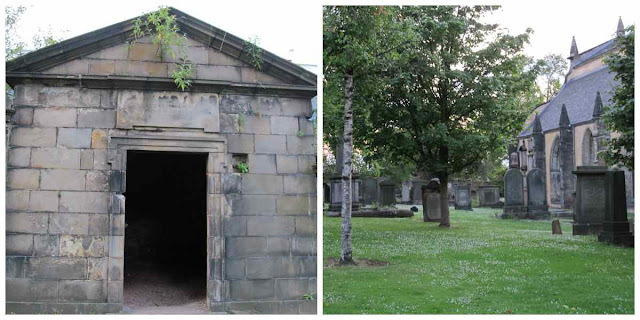 It takes victims – I mean, visitors – to Grey Friar’s Kirkyard, one of the most haunted cemeteries on earth. An evil spirit lurks in the shadows and has allegedly bruised, bitten, burned, and scratched people on the tour. NOT for the faint-hearted.